When crafting the perfect diet to bolster your overall health and wellbeing, it’s a good idea to include anti-aging supplements. Whether ingested or used topically, anti aging supplements and beauty ingredients that keep your skin youthful and glowing should be a regular part of your daily routine. Instead of randomly grabbing a beauty product off a shelf and deciding to give it a try, it’s a good idea to get to know the best of the best for your unique skin and situation. Firstly, it is important to consult a dermatologist and get some counseling and professional help if your aim is to reverse aging. Secondly, it is always a good idea to do your own research and be aware of the age-defying ingredients used in products that claim to reverse aging. This article is a good place to start your research. Here are some of the most potent anti-aging beauty ingredients you should look for. Retiniods work in a number of ways. These are actually one of the chemical forms of Vitamin A and are readily found in numerous beauty products, even those that are not specified to reverse aging. They work by simply speeding up the regeneration process of skin cells. They make weak and exhausted skin cells die faster and make room for new healthy cells to replace them. In addition to that, they reduce the breakdown of collagen. Retinoids also reduce the production of melanin, the naturally occurring skin pigment, keeping the skin from darkening. All these properties of retinoids help to reverse aging as they reduce the incidents of acne breakouts and other skin problems, help fight wrinkles and help regenerate the skin cells. Try this retinoid cream to help combat acne and wrinkles. Another ingredient to look for in skin care products is salicylic acid. Salicylic acid is used in almost all anti-acne treatments. However, it is underestimated when it comes to its age defying properties. Salicylic acid is actually a vital ingredient in anti-aging beauty products. It is available as an age defying ingredient in many lotions, creams, ointments and gels. It aids other products to absorb better into the skin, optimizing their effectiveness. Essentially, salicylic acid works by increasing the turnover of skin cells by making the old and worn out cells die faster to make way for new cells. This helps in adequate production of collagen, which keeps the skin elastic and wrinkle-free. This action also improves the texture of the skin significantly, making it smoother and more even. You can rely on caffeine to not only keep you alert, but also keep you looking young. 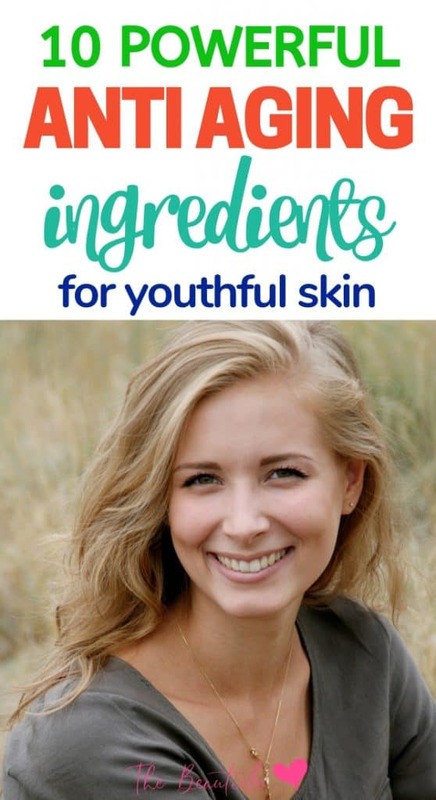 Not only does it make the mornings more tolerable and less grouchy, it is in fact a very good age defying ingredient in many beauty products. Caffeine has very high anti-oxidant activity. It helps get rid of free radicals, whether they are a by-product of natural body metabolism or from the UV radiation in the atmosphere. These free radicals, if not removed by anti-oxidants, attack healthy cells of the body either by destroying them or causing them a loss of their functionality. In addition, caffeine also has anti-inflammatory properties. It reduces inflammation by causing vasoconstriction or constriction of blood vessels. So when it is applied locally over an inflamed area, it constricts the blood vessels and reduces the blood flow to that area, gradually reducing inflammation. It is especially used in anti-aging products and serums for eyes. These products aim to reduce the puffiness and sagging of the under eye area. Green tea extracts are known to have a very ‘soothing’ and cooling effect. In fact cold green tea bags are said to be an effective remedy for inflamed or saggy skin. Green tea extracts are used in age-defying products too. Green tea is rich in ‘polyphenols’ that help fight free radicals, protecting the skin from their damage. It keeps the skin clear from fine lines and wrinkles. Green tea extract also helps limit the damage caused by the sun, which is a key factor to reverse aging. The body has numerous epidermal growth factors, depending on their site of action. The epidermal growth factor for skin is used in many age-defying creams, lotions and serums to reverse aging. The epidermal growth factor stimulates renewal of skin cells. It also enhances the appearance of the skin by promoting death of old and exhausted skin cells. With growing age, the normal cell turnover rate in all body tissues is reduced. The skin is no different. Epidermal growth factor works to stimulate this to give an overall youthful and more vibrant appearance to dull and aging skin. Co-enzyme Q10 is an extremely important agent in the process of reverse aging. Vitamin Q works as an anti-oxidant, getting rid of free radicals that kill cells in different tissues of the body, including the skin. By depleting the levels of free radicals in the skin, Vitamin Q decreases the breakdown of skin. This in turn reduces the ‘thinning’ of the skin, thereby strengthening it and making it stronger against other aging factors. It not only stops the excessive break down of skin cells, but also promotes the growth of new ones so that the skin is more vibrant, youthful and softer. Vitamin Q in anti-aging products greatly increases the probability of these creams, lotions, and serums to work. It is also a safer option than synthetic chemicals that are not natural and may have certain adverse effects. Argireline is a somewhat infamous ingredient in anti-aging and anti-wrinkle creams and serums. It works in a different way from the other ingredients mentioned above works by inhibiting muscular movement. It does so on a smaller scale but is sometimes called ‘Botox in a jar’ (Botox does not work the same way. It works by paralyzing the nerve supplying a particular muscle. Wrinkles are formed on the face due to the overlapping, shape and inter-relations between muscles. Those are the wrinkles naturally present and do not form with age. Argireline inhibits muscle movement to some extent and helps reduce such wrinkles. It is one of the most beloved ingredients used in products for reverse aging, and rightfully so. Grape seed extracts carry polyphenols that find and fight free radicals damaging the skin. It also improves the activity of vitamin C, which is known to have countless benefits for the skin. It is readily absorbed in the skin and has exfoliating properties. Grape seed extract can do wonders in taking off years from the face. That is not all. Grape seed extract can add elasticity to the skin by improving the quality of collagen in it. Collagen is vital in maintaining healthy and younger looking skin that is free of fine lines and wrinkles. Grape seed oil also has anti-fungal, anti-bacterial and anti-septic properties. So when this is present in a beauty product, it not only helps the skin in reverse aging, but also makes sure that the skin is protected against bacteria and other organisms that cause infections and other skin conditions. Niacinamide is a chemical form of Niacin (Vitamin B3). Niacinamide also has anti-oxidant properties and works the same way as most of the other ingredients mentioned here. However, one property that is exclusive to niacinamide is its ability to help the skin retain water. So if you are drinking ample water in your attempts to reverse aging, having niacinamide in your skin care routine will help the skin retain all that water, keeping it hydrated and elastic.